Fits the Shark Stick EP600 perfectly. All I wanted was the inner fabric filter for replacement, but I'm glad the covering pre-filter screen unit is included. This Euro-Pro model is the source I will be purchasing again. 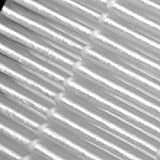 I think the price is reasonable, as the fabric filters can last for years when well maintained and cleaned (unclogged). We've had our Shark Stick vacuum for over 12 year now and it is still going strong. The key to good maintenance for the Shark Stick is to check the heat of the air and air flow speed coming out of the electric motor's exhaust. Exhaust airflow should feel warm, strong, and brisk. 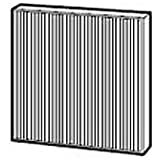 The amount of hair and dust balls seen in the vortex chamber is NOT a good indication for the amount of very fine dust trapped in the inner fabric filter. 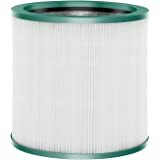 I suggest disassembling the filter unit after 4-5 cleaning sessions (depending on your vacuum mileage) to check the screen and fabric filters for clogging; they are easy to clean out. My wife vacuums, and I move the furniture and clean out the filters; it contributes to a better marital relationship! I have a Shark Euro Pro vacuum that came with the Hepa filter and it needed replacing. Since Shark doesn't make these vacuums anymore as far as I know--it was good to find the part. 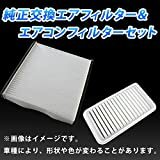 I ordered the two dust cup filters at the same time and I am using those. Don't really think you need a HEPA on this little vacuum--the dust cup filters work fine and you clean them each time. I only use this vacuum for quick clean ups and on stairs, etc. so HEPA is sort of overkill. 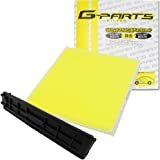 But being able to find parts like this on Amazon is a great thing! Who can drive around to parts stores for vacuums and hope they have these types of things??? I bought my Shark stick vac at a charity yard sale and was happy that it worked! 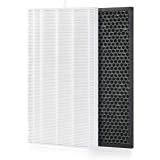 I looked on Amazon and found the hepa filters and ordered two and am glad they are available through prime so I don't have to go looking for them. It makes the vac work like it must have when brand new. I was amazed at how much suction it has, even golden retriever hair is sucked in. Good little vacume now. 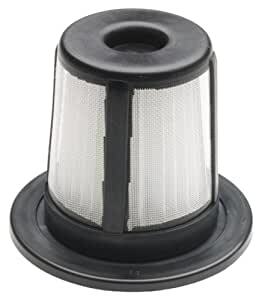 I purchased this for my Shark vacuum that I've had for several years (and never got around to replacing the filter). What a difference the new filter makes!!! The suction is so much stronger - I should have bought this quite a while ago (I would have had much cleaner floors! ).